Alright! This harvest has brought my aquaponics testing project to an end as it's proven that those veggies and those fishes (8x13-inch tilapia) live happily as a 'family' in the system. However, as of now there's no comprehensive plan of moving forward as am too busy dealing with things. Maybe there will be a commercial setup based on this in the future but am unable to confirm on that. 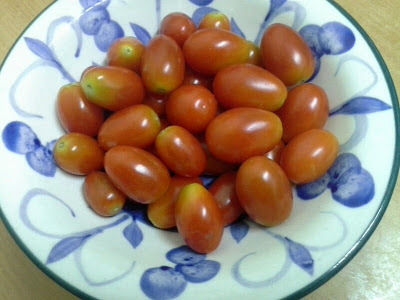 From what have tested, found that growing the cherry tomato needed more attention compare to spinach...and of course the cherry tomatoes will survive.